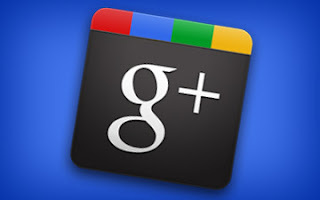 Actually when I asked for beta readers, I had no idea I would be using Google+ for it. But I am, and it has made things a lot simpler. To set up an online beta reader group, you have to find people. Post on twitter, Facebook, on your blog, and now on G+. Have all of them contact you on the email address you use for Google+ (in my case my "official email"). When you gathered enough addresses. Save them in your email contacts under the same group. Then go to G+ and set up a circle for just the beta readers. Whoa let me back up. I realize not all of you are on G+ and that's okay. So what is a circle? Facebook and Twitter use lists. You can add people to a list, then watch only that feed. G+ goes beyond that. A circle allows you to watch a certain group of friends and anything you share with them, should (in theory) stay within that circle. So baby pics from your sister, should stay only in your family circle. You set up a beta reader circle. Add the address of your volunteers WHETHER THEY ARE ON G+ OR NOT! When you write a post, the ones that are not on G+ receive an email. As of right now, you still need your gmail to send out the files, but there is talk that will change. When they respond to you, you will get an email from the people not on G+. The ones that are, can respond like with a Facebook post. Think of it as a combination of a forum and email list. This has made my end of the beta reading so much easier. If they do fully integrate the gmail, it will be even easier. I know you could send out a mass email, using a group in the email program. So why is this easier. I don't keep my email open. I keep my hootsuite and G+ open. So if I think of something, I can run a quick message out ASAP. If they are on G+, they see the post in their stream. As soon as it is written. They will get a notification, so they will know it is there. Allows you and them to share other items. Lets say your beta readers have no idea about some of the items you are talking about. Because you don't have time to rewrite the passage now, you can put pictures in the post and let them see. Or maybe they want to share something with you that will help you see where they are coming from. The more I mess around with G+, the more I like what I am seeing. When it goes public, I insist my writer friends check it out. It might be just what you are looking for, a combination of networking, and idea sharing.